Happy, happy November. My October was a bit of a blur- moving was time-consuming and draining but we are settling nicely into the new house. We hit some bumps along the way with appliance issues, but God is getting us through. I can’t believe its almost the end of the year. In so many ways this year has flown by but it also feels like its crawling, anyone else think that? This is my favorite time of year and I am trying to still enjoy while still grieving over my dad being gone. But that’s another post for another time. 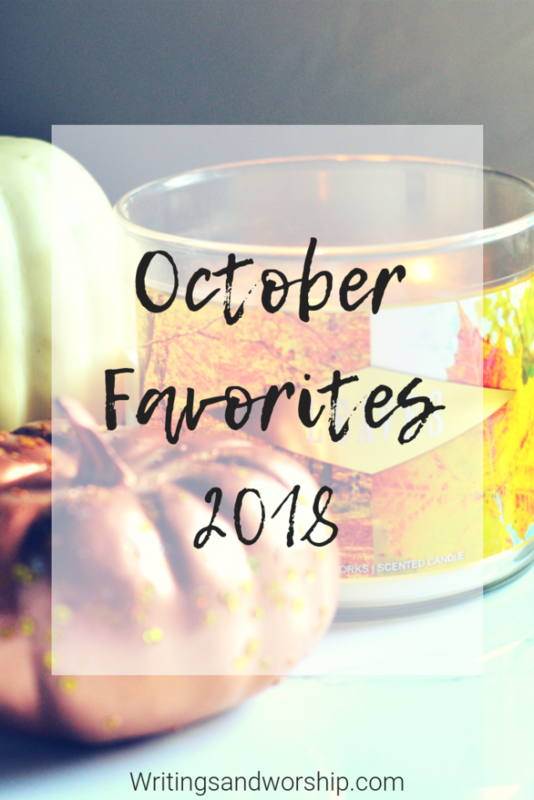 Because of moving, my October Favorites are a little scattered. I hardly ever wore makeup because I was either packing or have been unpacking- such a glamorous life. 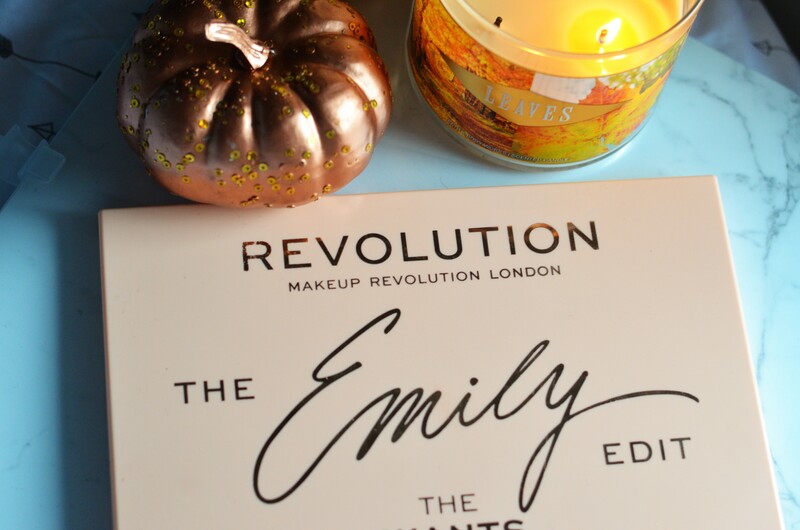 I did, however, scrounge up a few items I was loving throughout this last month. Let’s get to it! If you haven’t heard of the Daily Grace Co, then you are missing out. I met the owner through a bloggers social media pod and have fallen in love with everything she sells. The Daily Grace Co sells jewelry, mugs, Bible journaling supplies, and devotionals. Back a few months ago, they had a huge “imperfect” sale and I grabbed a couple of items. One item I purchased was this Delight devotional on the book of Psalms. If you have a hard time doing a consistent quiet time, these devotions are perfect! Delight has 30 days of content and they go over one Psalm a day. There is typically a couple of quick paragraphs to read and then some verses. These are easy to read and a fairly quick read. I am in love with this devotion. The messages are great and worth the price. 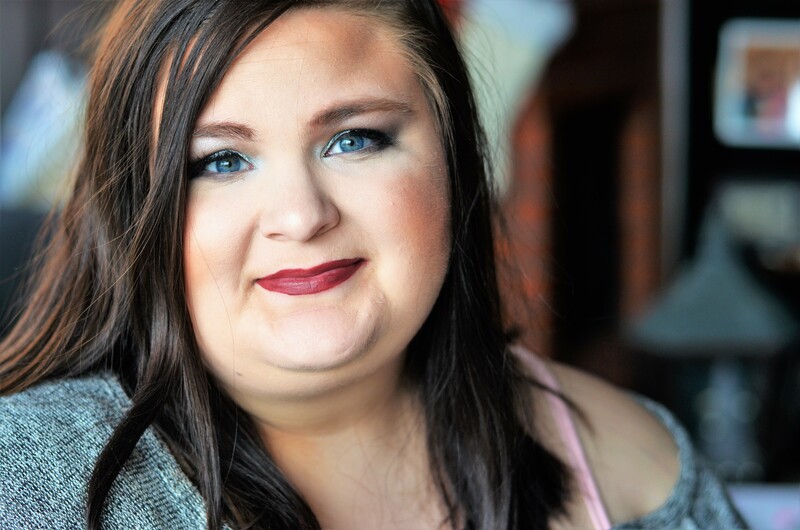 I also love shopping small and supporting a fellow small business owner and blogger. You definitely need to grab you a couple of these devotions! This lotion is from last years Christmas collection from Zoella Beauty. I have been keeping this lotion by my bed since we moved in and have used it every night. I’m obsessed with the smell of this. Peony, mint, and pink pepper are just a few of the notes you might smell. What I love about this lotion is how subtle the smell is…it’s perfect for heading to bed! There is nothing worse than using an overpowering smell right before bed. I’m not sure how many places this is still for sell in, but I’ve loved it so much I had to mention it. I love EmilyNoel83 on Youtube and I haven’t really even been watching her all that long. I really started watching her content when she came out with this palette and everyone was raving about it. 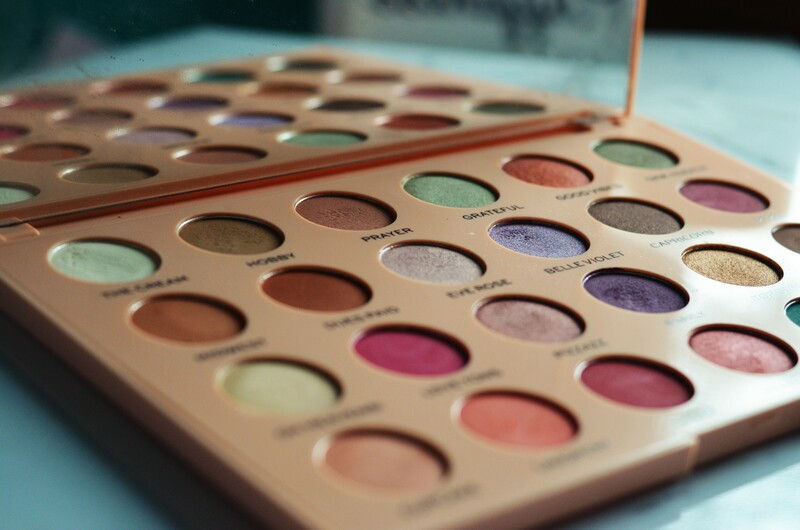 Color wish, this is one of the best palettes I have seen in a while. It seems to have everything! 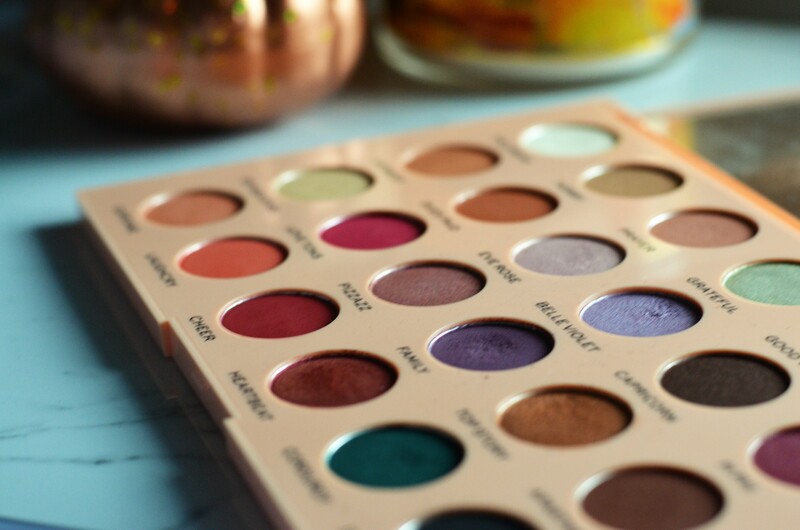 Mattes, shimmers, cool tones, warm tones, neutrals, and bold colors. 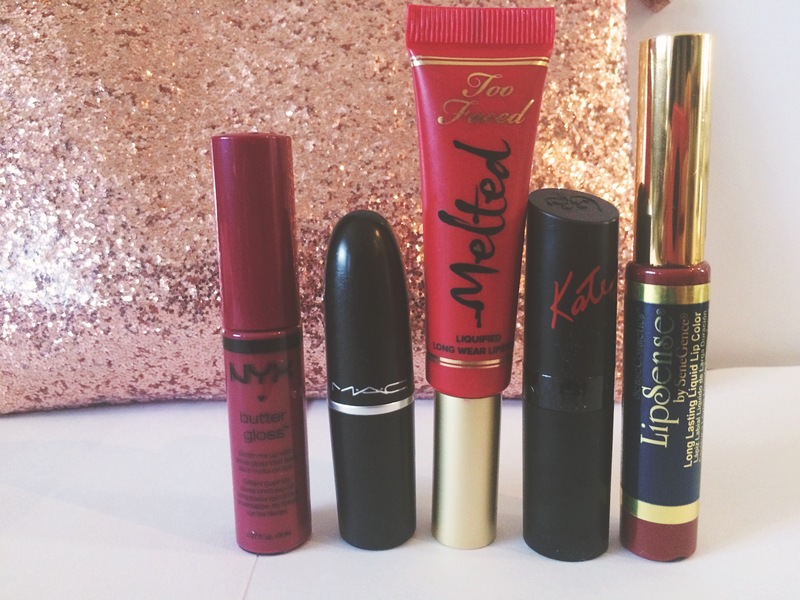 I have been using this non-stop when I actually wear makeup and have already got some cool looks out of it. 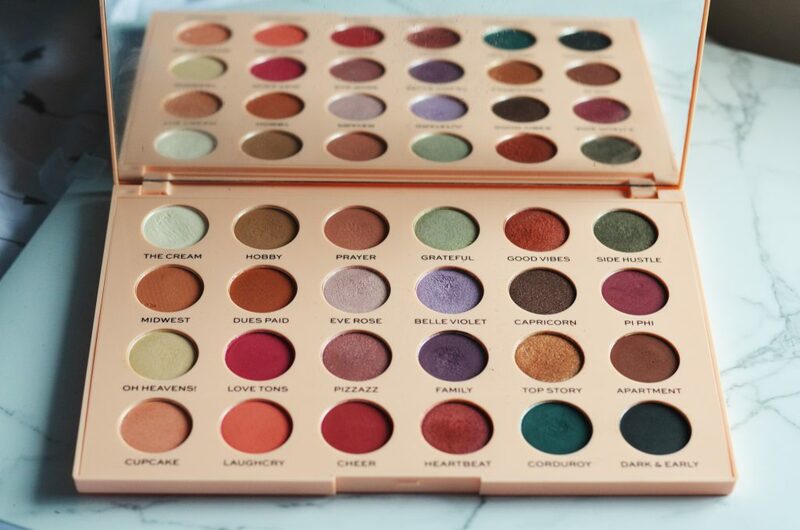 And I’ve heard some rumors/drama that some of the palettes were being pulled because of quality but mine sure isn’t messed up and none that I’ve seen have either. 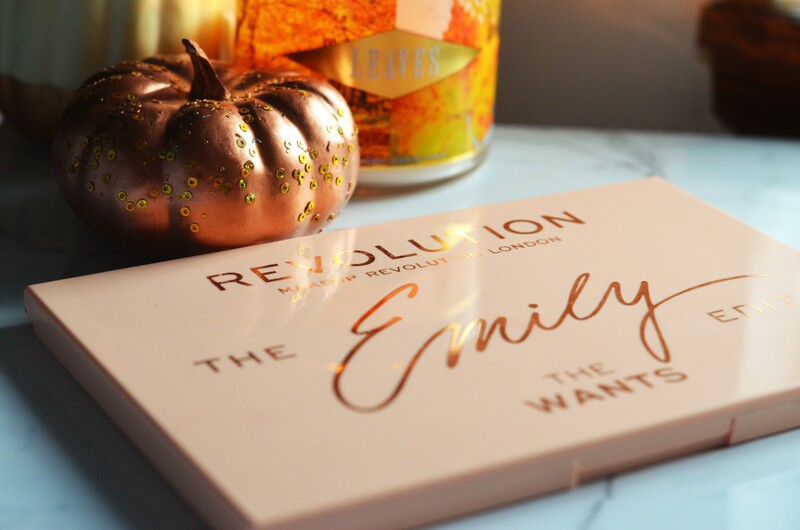 Emily worked so hard on this and I’m thankful she shared this gorgeous palette with us. My favorite colors are Love Tons, Cheer, Pi Phi, Belle Violet, and well…pretty much all of them. When I was in my best friends wedding, my mom and I stopped by Sally’s Beauty for a quick look for a hair barrette and I picked this teasing brush up. 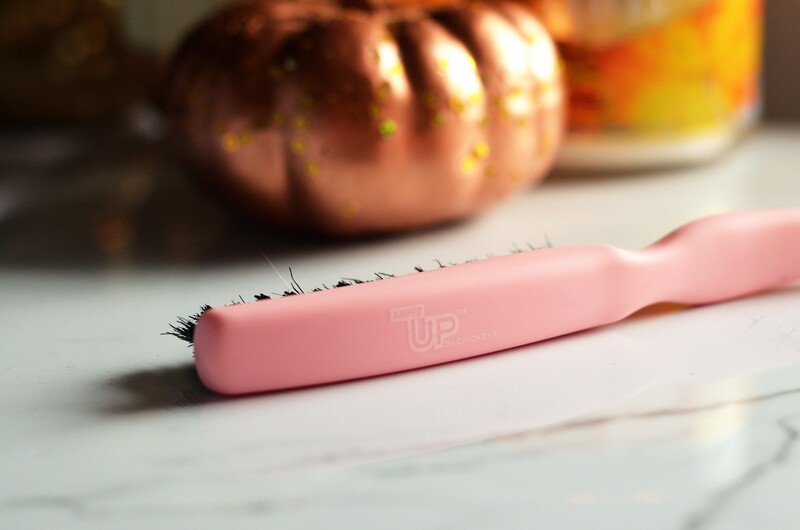 I always love using a teasing comb or brush for my roots to give my hair some volume and this little thing does a great job! For around $5, this thing is great! I love the long pointed end to help section off any hair. And I mean, it’s pink- what could be better? 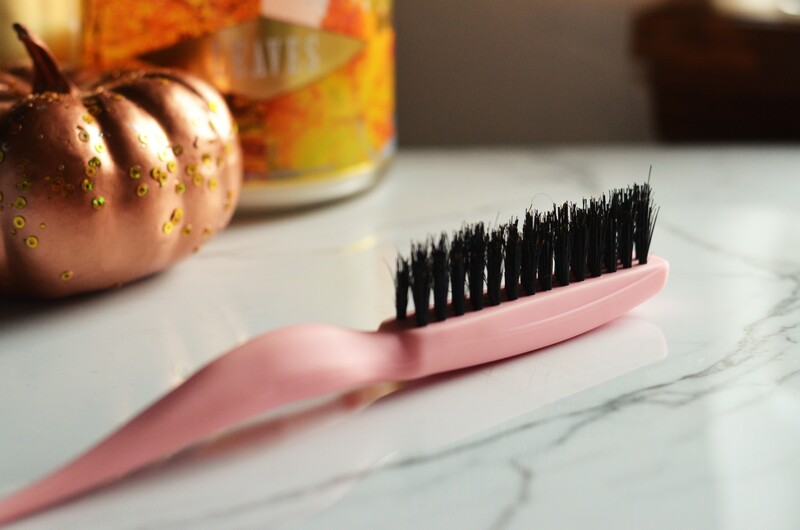 The bristles are pretty strong and perfect for teasing! But I could even use it as actual brush in case of emergencies (I may know that from personal experience, already). 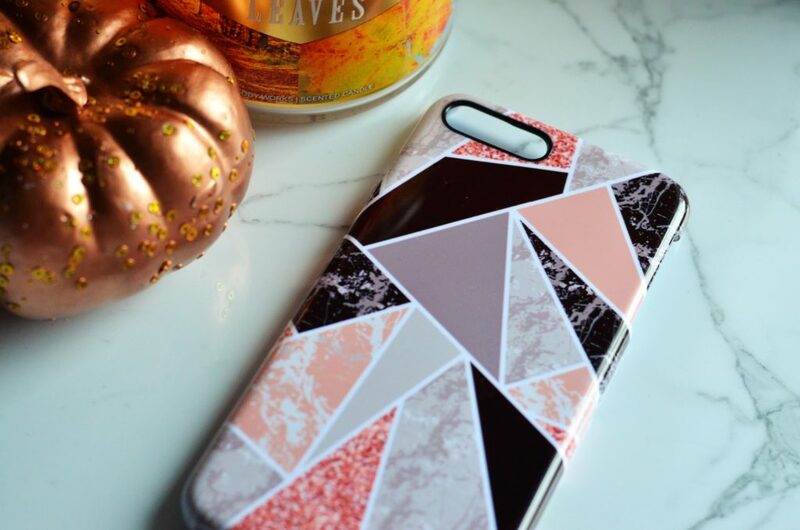 Marble is my current obsession, I know, I’m late to the party. I purchased this case during a 3 for 1 sale at MGramcases online. The other 2 cases are cute but this one is my favorite. I did notice that the glitter triangles are a little pixelated but other than that it’s pretty good quality. The colors and patterns are so perfect and right up my alley. This website has tons of great options and I’m looking at getting a few more. But this was on my phone pretty much all month! Thanks to my best friend and the gift card she gave me I was able to pick up a few fall candles from Bath & Body Works. Leaves is my absolute favorite! I wish I could describe what it really smells like but its a mix of apples and fall spices. 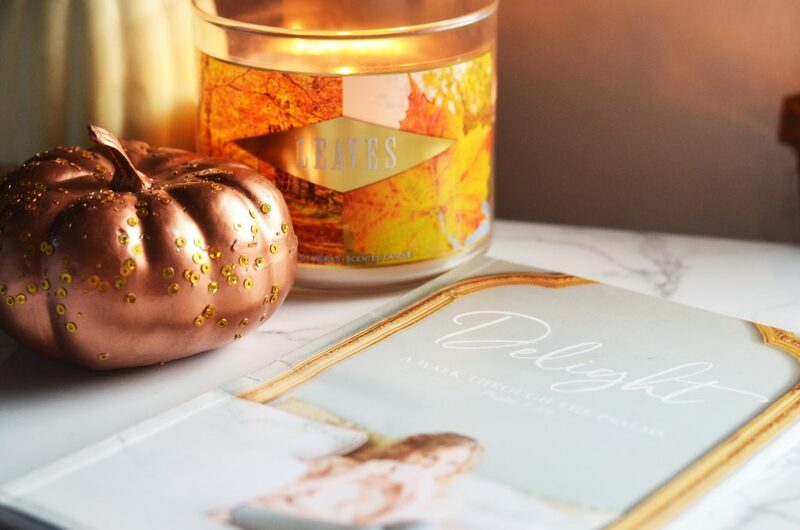 The packaging of these candles are just gorgeous, don’t you think? They really become a decor piece when they have cute pictures like this one does. 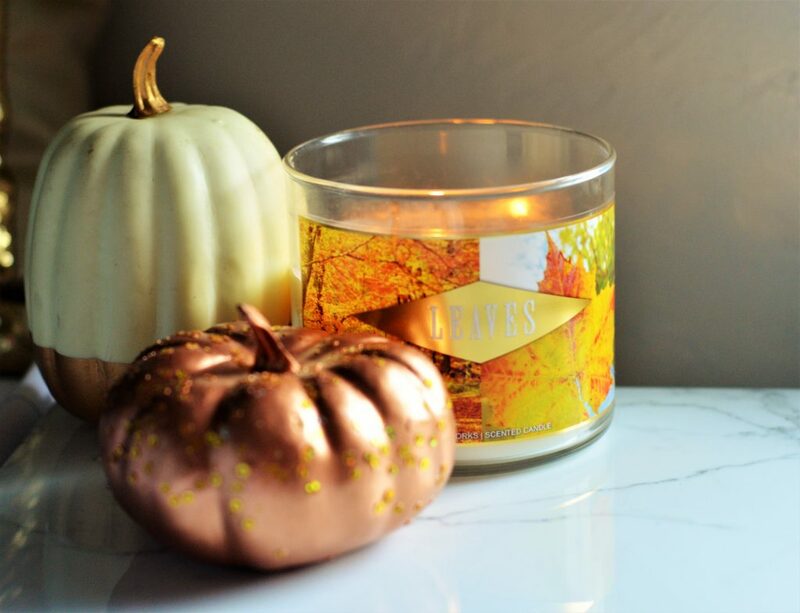 I get bittersweet when I burn candles- does anyone else? Like, I want to burn them and smell them…but I don’t want them to be gone!